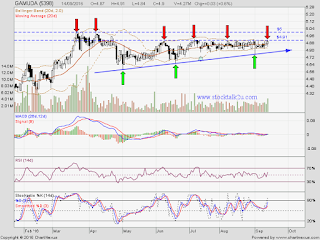 GAMUDA forming ascending triangle pattern. Will it break through the strong resistance? Immediate resistance @ RM4.91 level. 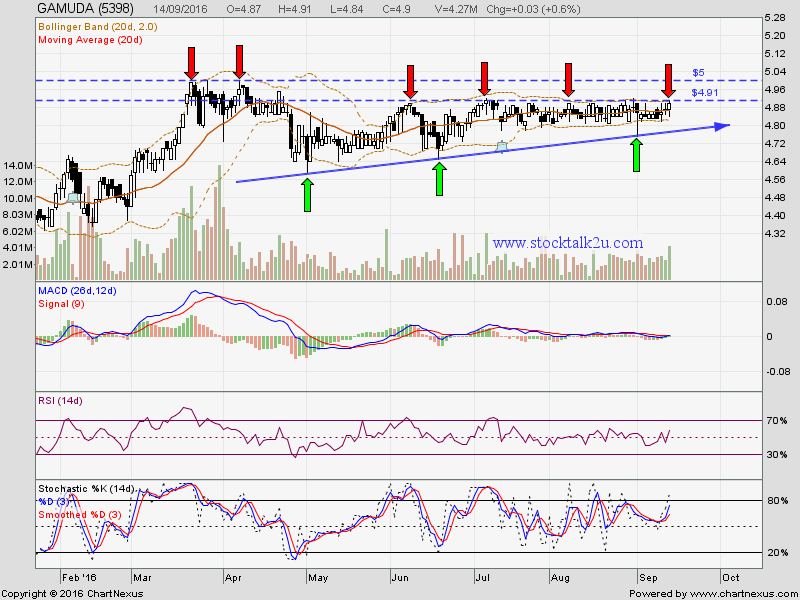 Subsequent resistance @ RM5.00 level. Subsequent support @ RM4.76 level.